Last time we introduce you to mpd – Music Player Daemon, a flexible and powerful server-side application for music playback. But as it was for some users to difficult to install and configure, and also very buggy, we decided to use some better application to play music remotely. We will explain to you how to configure vlc for remote use. 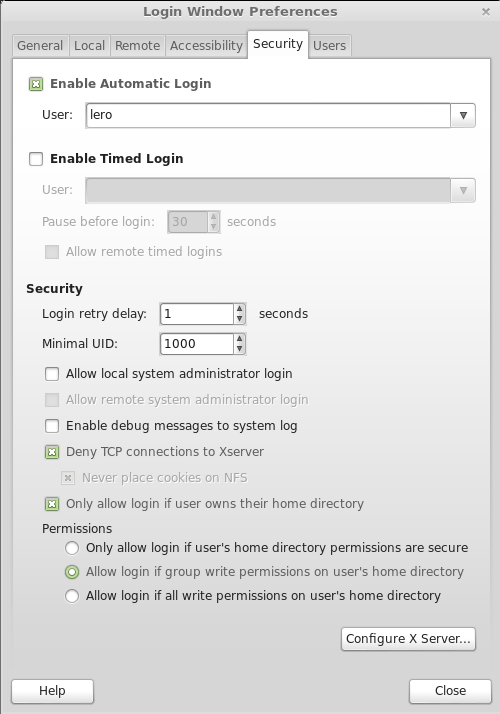 Go to Cinnamon or Gnome desktop environment and enable auto login. tick “Enable Automatic Login” and select your username. Open qjackctl program and go to setup and select Misc tab. Tick “Start JACK audio server on application startup” Click OK. Try to start jack to see if everything is OK. When you are satisfied with your jack configuration close qjackctl. 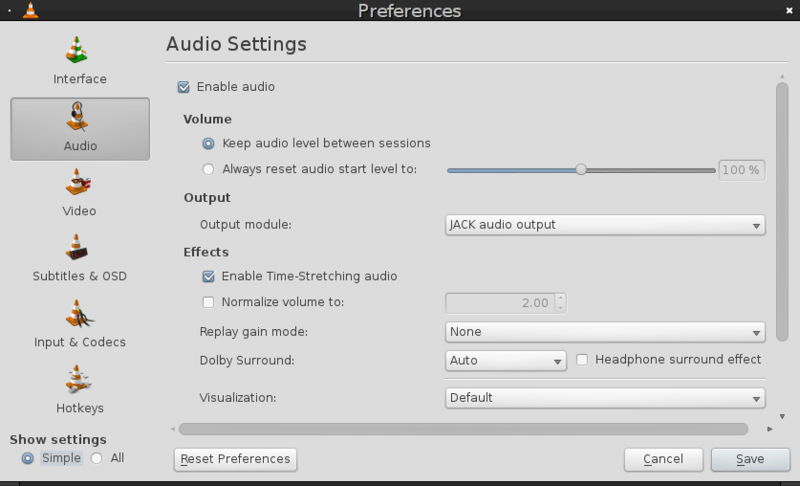 Open vlc, go to Tools, Preferences, select Audio and select JACK audio output in Output module settings. Save your configuration and close vlc player. In this example my IP address is 192.168.1.174. That address you have to write down and remember. Replace 192.168.1.174 with your IP address and save this file. This .hosts file contains configuration which hosts (you, your wife, your neighbour) can play music from their mobile phones or tablets. Uncomment the line for your network. In our case is 192.168.0.0/16. 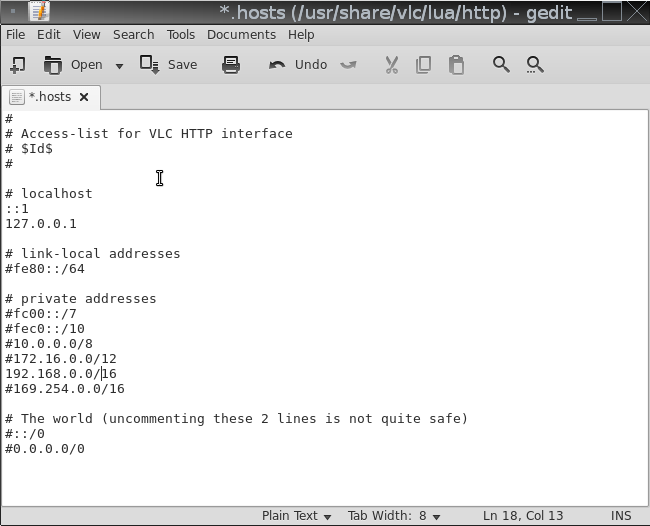 If you have address 10.0.0.x or something similar you have to uncomment the 10.0.0.0/8 line. Save the file and reboot your PC. The final step is to install vlc remote application on your iPhone/Android or tablet and point it to your IP address. There are many apps for Android. We recommend VLC HDR or Remote for VLC . And that’s it. 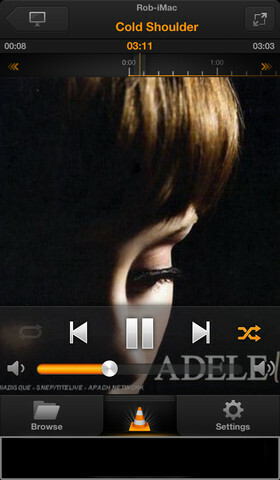 Happy listening. USB sometimes does not mount if it’s connected to some ports that are on the front of the computer case. See on what ports it always mount and leave it there. Before using Jack and VLC for remote operation you need to setup correct values in Jack for your PC. If you save wrong values Jack will always fail or play bad. For annoying clicking noise maybe your Jack settings for VLC and Deadbeef are different. I had this too. Add sleep 10 before jack starts up….works for me. Perhaps start vlc with nice – 9 vlc to give it higher cpu cycles? Is it necessary to install cinnamon and gnome? I planto remove them when I try this distro. Can the machine be administered with only fluxbox? It can be administered with only Fluxbox but you have to be an expert to do this. 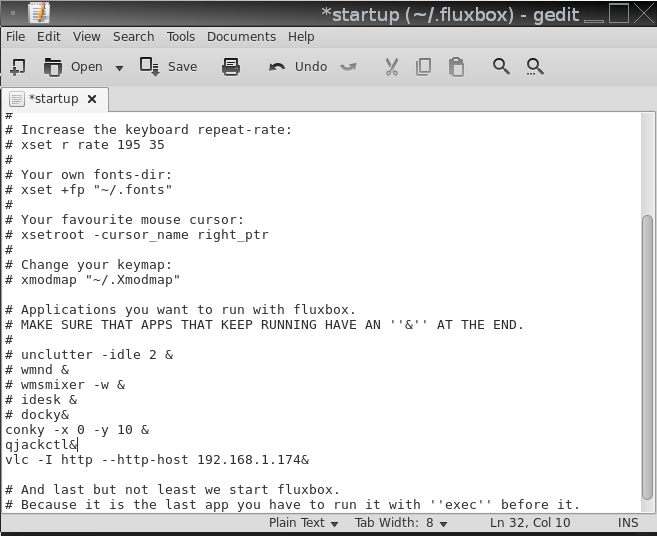 Don’t remove Cinnnamon and Gnome because they are not running when you use Fluxbox, so they don’t interfere with music playback. Do you know why playback is gliching in vlc every 3 seconds, but not in deadbeef? I don’t know. It doesn’t glitch at our config. How I can play music from NAS? In many ways 🙂 You just have to read documentation on the Internet about samba or NFS. It depends on what you use for NAS. I’m going to build an Atom based mini pc just for playing music, and I have a question. According to “Enable jack plugin in vlc preferences”, can I choose SPDIF output instead of JACK?